I am recovering nicely from participating in the Chevron Houston Marathon on Sunday. 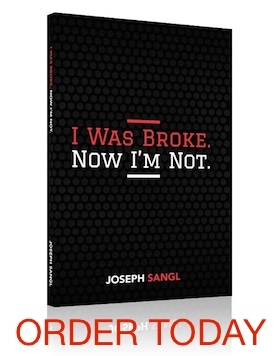 I am back home and have already taught a Financial Learning Experience on Wednesday evening! 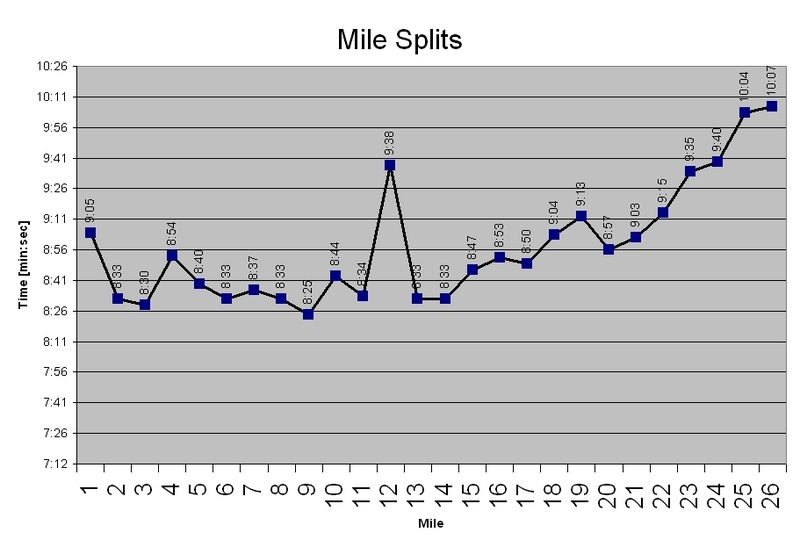 Since I am still a nerd engineer at heart, I thought I would share a chart of my mile splits. Anyone who has ever run a distance race will certainly enjoy staring at these numbers. You can clearly see that I hit a slight wall at mile 22. That is where I decided to walk 45 seconds at each mile marker. Even with the walking, my longest mile time was 10:07. Pretty good considering my average pace in my other marathon was 10:15! If for some reason you are interested in seeing some pictures of me experiencing the pain of the marathon, you can see a host of them HERE. I had a BLAST! There is nothing like accomplishing a truly huge and intimidating goal. What do you need to begin preparing to do that today seems almost impossible? You look determined or really angry at the course most of the time! I understand why! Long ways and lots of road to beat. NIce! Conquered those 26.2 miles just like the debt monster…One step at a time! Awesome!